Too stylish for a helmet? Hövding has you covered. 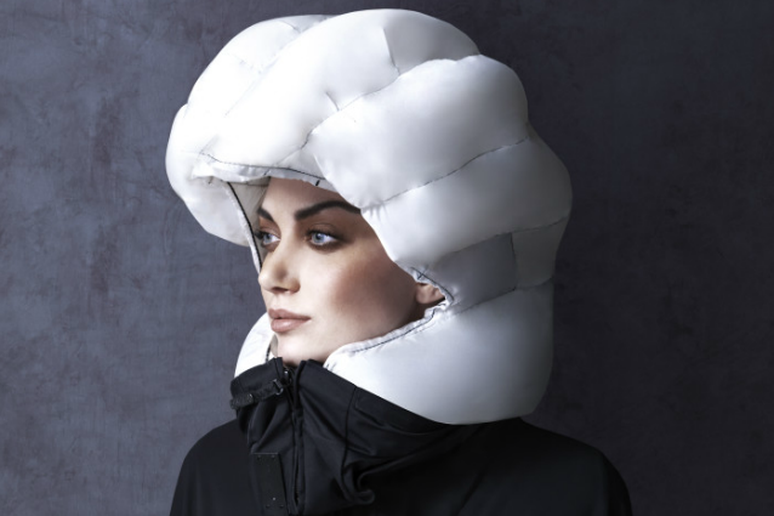 They have created an invisible helmet that works similarly to an airbag, blowing up to protect your head as you fall (as shown in the image). Worn like a scarf, it is barely noticeable before it inflates, and comes in many different patterns and colors. For a mere €299 you can rock your ride in helmetless style. While this helmet may look ridiculous, it is actually attempting to revolutionize city bike renting. By blending recycled newspapers and water, these helmets are created at a very low cost and can again be recycled. They are intended for conjunction with London Bicycle Hire Scheme to be used for a short period while you rent your bike. Although this helmet may look normal, don’t let it fool you. 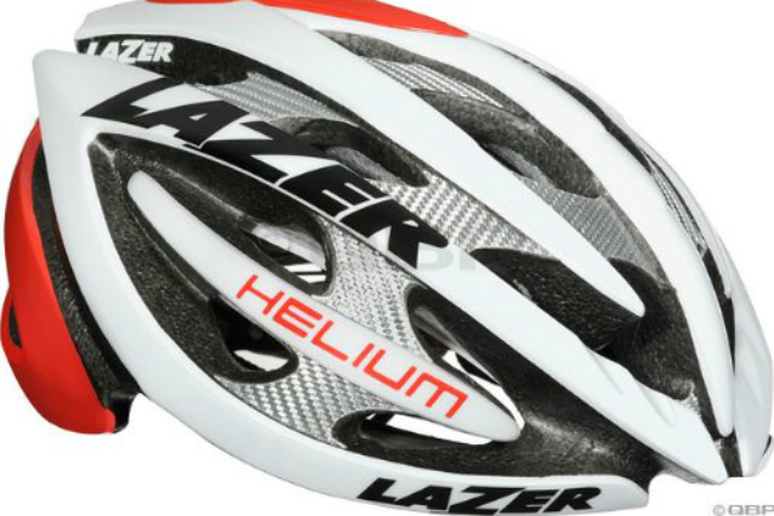 This Lazer Helium Helmet makes the list mainly because of its absolutely absurd price on Amazon. Offered from one buyer for $8,218.50 it is the number one most expensive bike helmet listed on the site. Because, why wouldn’t you wear a watermelon on your head? 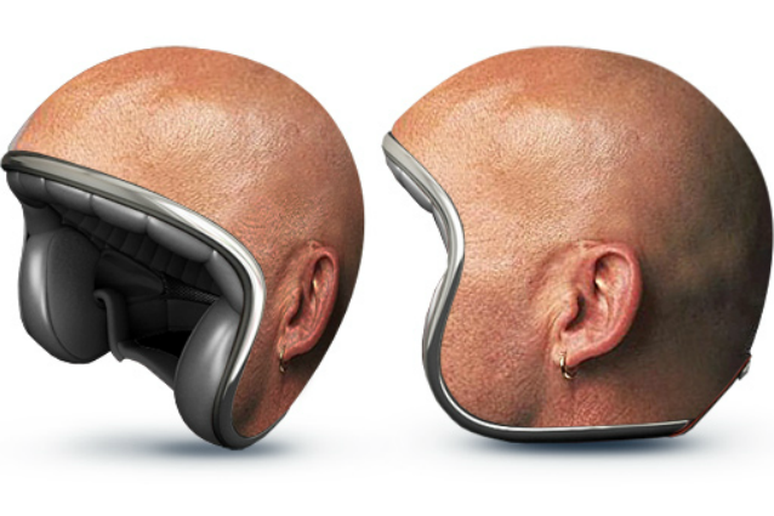 It’s the same exact shape as a helmet and, come on; it’s kind of a genius design. 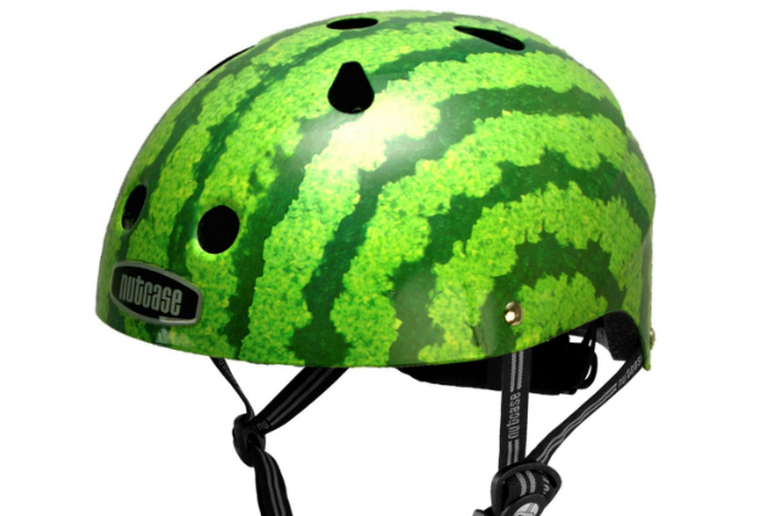 Nutcase makes all sorts of cool designed helmets, but I wish I had one of these as a kid, or better yet, can I get it in an adult size? This may stray away from the bicycle helmet world, but it is just too good. A Republic of Kazakhstan-based marketing firm called Good! took a break from advertising to have some fun and created motorcycle helmet masterpieces like this bald head shown here. Ranging from walnuts to tennis balls to brains, the company brought helmets to life by pairing them with images of similarly shaped objects. Nothing screams cool like a Mohawk. Now add a bike, and you’ll have fans lining up, ready and waiting for your next heavy metal show. 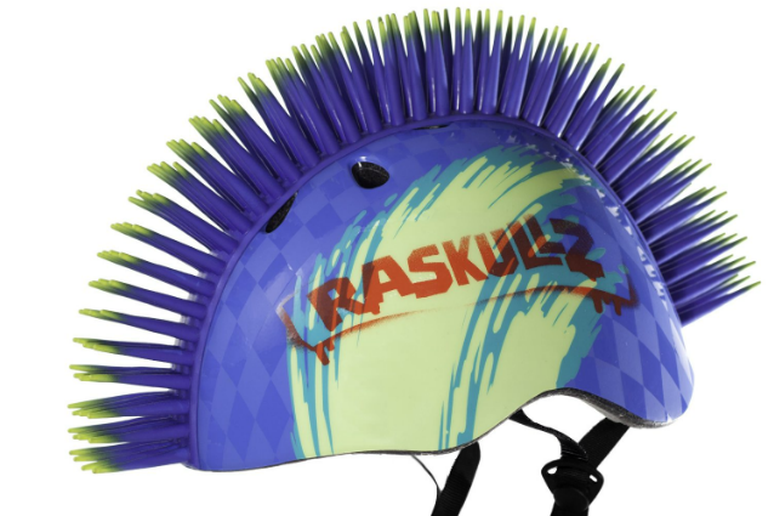 Raskullz makes safety ridiculously cool for kids, and offers an abundance of rad helmets from kitten ears to shark fins to brainy bunnies. 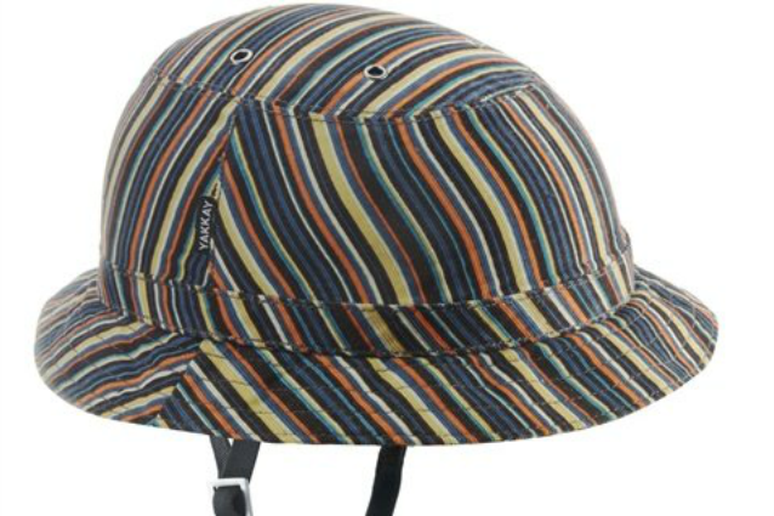 If you are planning on wearing a helmet all day long and want to pretend you aren’t, throw a hat over it. 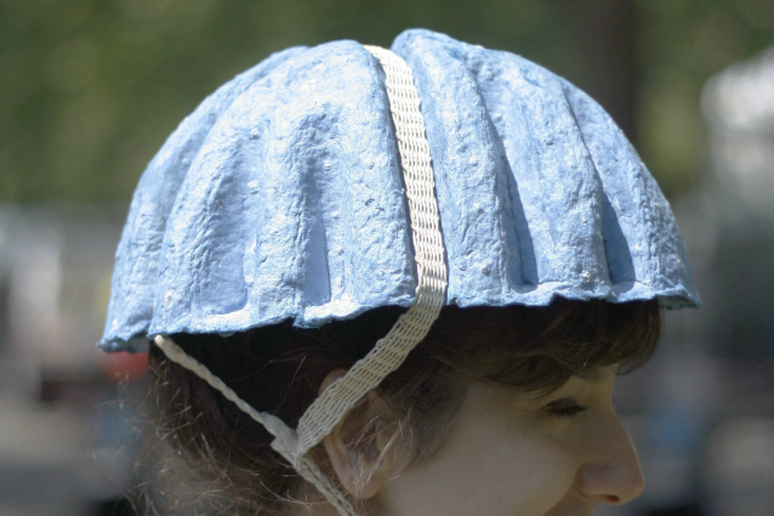 Yakkay has created a lightweight helmet with all different types of hats to top them. With options like these, why not just match your helmet to your outfit and protect your head at all hours. Wear a helmet hat at brunch or at the movies, no one will ever know! 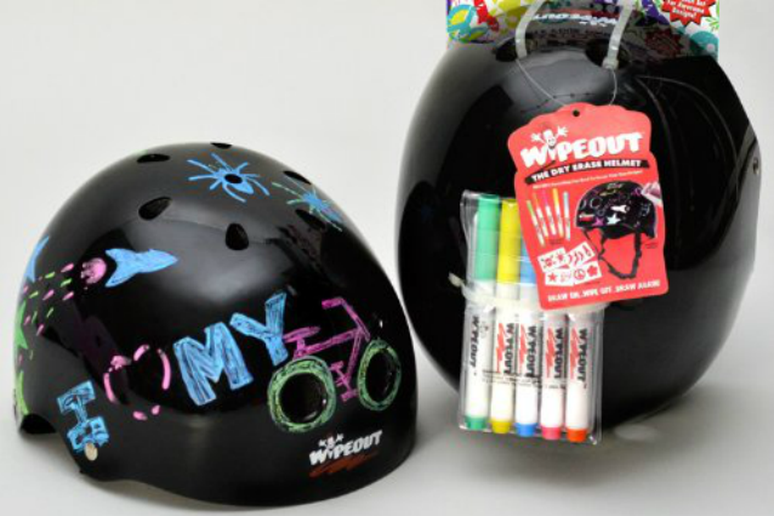 Make your own ridiculousness with the Dry Erase Helmet by Wipeout. Keep it classic, or go wild with the stencil kit and 5 colorful dry erase markers included in every purchase.